SAVANNAH, Georgia, April 10, 2019 — Gulfstream Aerospace Corp. will showcase its fleet of class-leading aircraft at the upcoming Asian Business Aviation Conference & Exhibition (ABACE). The event will take place April 16-18 at Shanghai Hongqiao International Airport. On display will be the ultralong-range Gulfstream G650ER; the high-performing Gulfstream G550; the all-new, award-winning Gulfstream G500 and Gulfstream G600; and the super-midsize G280. More than 335 Gulfstream aircraft are in service in the Asia-Pacific region, accounting for 12 percent of Gulfstream’s worldwide fleet. Gulfstream’s flagship, the four-living-area G650ER, has a range of 7,500 nautical miles/13,890 kilometers at its long-range cruise speed of Mach 0.85. Unlike any competitor, the G650ER provides more high-speed range utility with 6,400 nm/11,853 km at Mach 0.90. 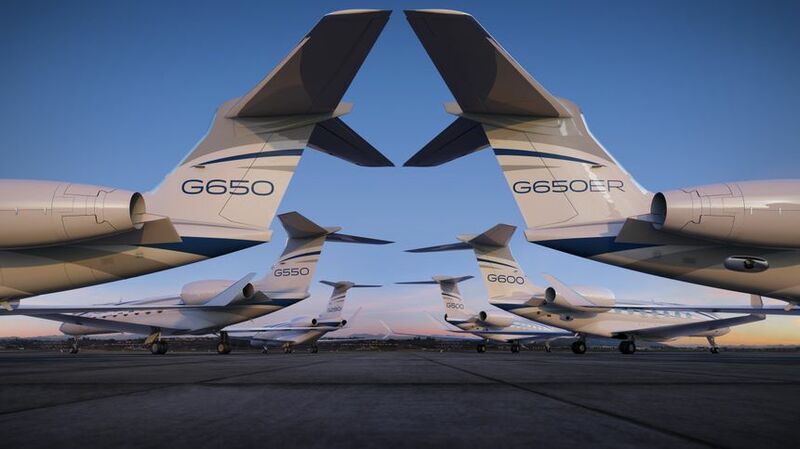 The G650ER’s fast speeds allow the aircraft to easily and quickly connect global hubs, such as New York to Shanghai in a swift 13 hours and 40 minutes – a city-pair record. The G650ER also set a city-pair record connecting Singapore to San Francisco in just 13 hours and 37 minutes. To date, the Gulfstream G650 and G650ER have 90 speed records combined. With unmatched speeds, payload and passenger capacity, the G650 family is popular in China and the surrounding region. The clean-sheet G500 and G600 are the newest aircraft to join the Gulfstream family. Capable of flying 5,200 nm/9,630 km and 6,500 nm/12,038 km at Mach 0.85, respectively, the new aircraft represent optimized speed, wide-cabin comfort and efficiency suited to offer best-in-class performance with advanced safety features. Equipped with touch screens, the industry’s first active control sidesticks and Intelligence-by-Wire™ technology, the advanced flight deck allows for greater situational awareness and crew coordination, making the aircraft the most technologically advanced in the market. Since its ABACE debut last year, the G600 has proven its ability to fly 700 nm/1,296 km farther at its high-speed cruise of Mach 0.90 than original projections. The high-performing G550 has a max range of 6,750 nm/12,501 km and is able to connect Shanghai to San Francisco at a speed of Mach 0.85. The G550 remains an industry leader and ideal selection for both commercial and special mission applications. In 2018, Gulfstream delivered a G550 to the Beijing Red Cross Emergency Medical Center to revolutionize state-of the-art medevac services in Beijing. Gulfstream’s super-midsize G280 can fly 3,600 nm/6,667 km at a speed of Mach 0.80. It can travel nonstop from Shanghai to Singapore at a speed of Mach 0.84 or from Shanghai to Delhi at Mach 0.82.